Divorcing couples are faced with a variety of difficult, often overwhelming decisions about the future of their family. How can I still be the best parent to my children? Where will I live? Where will my children live? How will we divide everything we have? How much child support and alimony will I pay/receive? In divorce mediation you and your spouse approach these issues as a problem you can solve, rather than a battle you may or may not win. In mediation you have the ability to make these decisions without breaking the bank or leaving you or your children emotionally devastated. Divorce mediation is based on the belief that divorcing spouses are best-suited to make the decisions divorce requires for their family. With the help of a neutral mediator, a divorcing couple can sit down together to work through the terms of a fair divorce settlement. More control. You and your divorcing spouse can use common sense to make your own decisions according to your own standards of fairness. The process helps keep emotions separate from necessary decision making. Creative solutions. Brainstorming and working through different scenarios with the mediator allow you to come up with solutions that are best-suited to your own unique family situation. Better long-term relationships. Working through problems and making decisions together in mediation will improve your communication and reduce conflict with one another in the future. Better parents. Developing better communication and reducing conflict with your ex-spouse will allow you each to focus on being the best parents you can be for your children. Private and confidential. Honesty and openness are crucial pieces of the process. All parties are required to agree to complete confidentiality before mediation begins. Nothing said in the mediation room can be used if you end up in court. Studies have proven couples who mediate their divorce have better communication and a better co-parenting relationship with their ex-spouse than those who litigate. Even more importantly, couples who mediate are more actively involved in their children’s upbringing and have better long-term relationships with their children (Center for Children, Families and the Law at the University of Virginia, Emery, 2001). Mediation starts with a free one-hour session where you are able to learn about the process, ask any questions you have and determine whether or not you feel comfortable using Erin as your mediator. We meet in two hour sessions to work through all parenting and financial issues until a settlement is reached. Sessions can be scheduled as close together or as far apart as you choose. The number of sessions required to reach a settlement varies depending on the level of conflict as well as the complexity of the parenting and financial matters involved. A “typical divorce” can be settled in three to five working sessions, or about 90 days total. Less time in mediation is required when both parties come prepared with all required financial documentation, when both partners have similar incomes and when the conflict level is relatively low. Typically higher conflict couples require more time in mediation, as do complex financial situations such as a jointly owned business. Asset and Liability Division. Everything you have accumulated during your marriage will be fairly divided between you. This includes real estate, furnishings, vehicles, retirement assets, credit card debt, student loans, etc. Spousal Support/Alimony. If your income levels differ greatly, or if one of you has put your career on hold to care for your children, one of you may need to pay spousal support temporarily until financial independence is achieved. Parenting Time. Will the children live mostly with one parent or split their time equally between you? You will leave mediation with a parenting plan outlining which days of the week the kids will live with each of you. A detailed holiday scheduled will be included in the plan as well. Parenting Plan. The parenting plan contains details about your children’s education, medical care, time with extended family, discipline and anything else you wish to include. As children grow and their needs change the parenting plan may need to be revisited. Child Custody. Will you share joint legal custody of your children? Legal custody concerns major decision making for your children, access to school and medical records, etc. Child Support. Depending on how you share parenting time and your income level, one of you may need to pay the other a set amount each month to cover your children’s expenses. Another option involves keeping a separate account to be used for the children’s’ needs that each of you contribute to monthly. 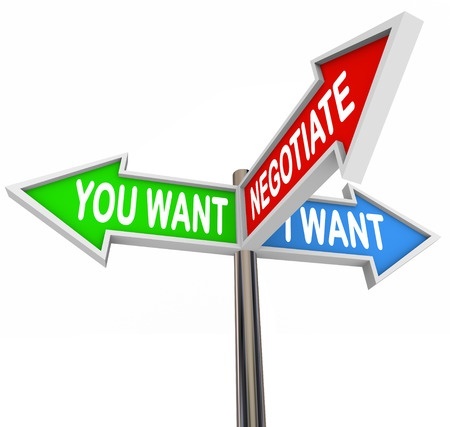 Once the two of you have have agreed upon the terms of your settlement, the mediator will draft your Memorandum of Agreement that spell out the details in simple, easy-to-understand language. The last step in the process is having the Agreement transferred into the Joint Petition, which will then be filed with the court. Erin works with an attorney who charges a very reasonable flat fee to draft the Joint Petition. If you have minor children, you will need to attend a brief default hearing before the divorce is finalized. If you do not have minor children, the court will perform an administrative review of your agreements before you divorce will be final. If you have any questions or have would like more information about Divorce Mediation, please contact us for a confidential consultation at 612.599.8366 today.